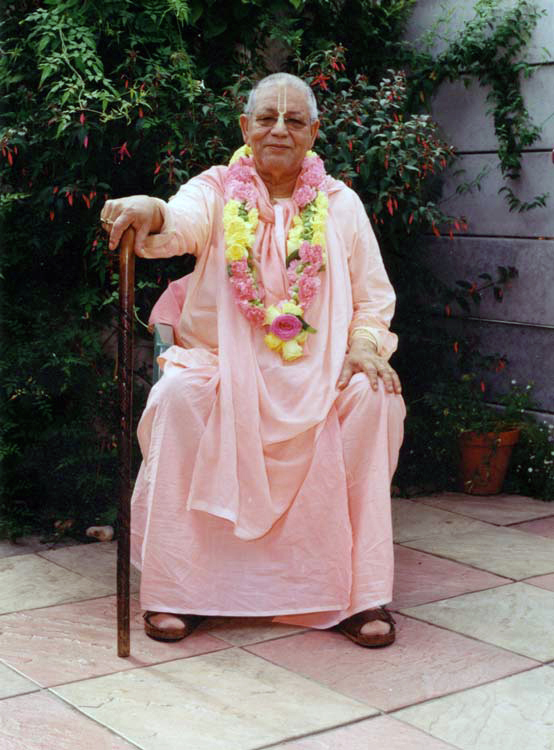 Feeling much enthusiasm from our Guru Maharaj’s encouragement the London Sri Chaitanya Math was then set up in the Blackheath area of South London for the purpose. By the mercy of Guru Maharaj in 1984 on the Holy day of Narasimha Chaturdasi (manifestation day of Bhagavan Narasimhadev, and also the anniversary day of Srila Govinda Maharaj’s coming to the lotus feet of Srila Sridhar Maharaj) Their Lordships Sri Sri Guru Gauranga Radha Shyamasundar were installed with the blessings of Srila Guru Maharaj for Their eternal worship by the devotees in the United Kingdom. 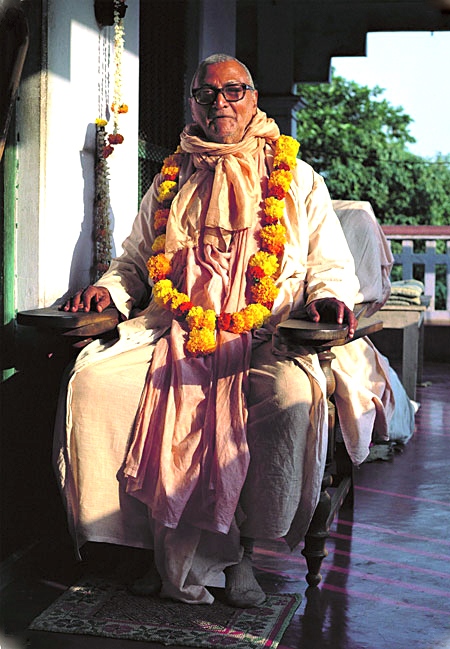 After the disappearance of our beloved Gurudev, Srila Sridhar Maharaj, and under the direction of his chosen successor and dearmost servitor, the present Acharyya of Sri Chaitanya Saraswat Math, Srila Bhakti Sundar Govinda Dev-Goswami Maharaj, the London Math has continued to evolve and grow and is now currently situated in the busy East End of London on the famous Green Street which is a hive of colourful cultural fusion with a large Indian community living and working in the area. And what is the future for our London Math? 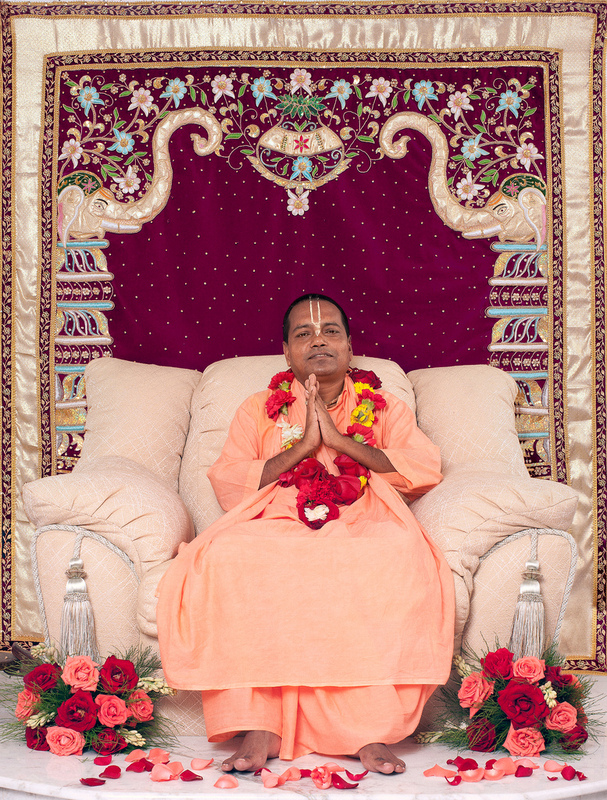 As our congregation of devotees continues to increase, it is more and more apparent that our beautiful Green Street Temple is too small for our needs.The teachings of Sri Chaitanya Saraswat Math deserve to be preserved, presented and propagated in a grand way befitting the ideals that it represents. To that end we would ask all noble hearted souls to help us establish a larger centre in London for the continued service and expansion of the Sri Chaitanya Saraswat Math for the benefit of all. Please see Get Involved page for more details.